1. Playing the field! 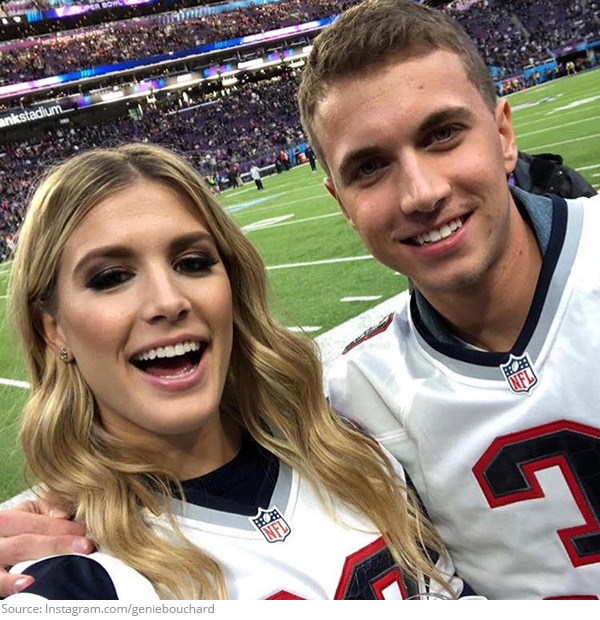 The saga of Genie Bouchard's Super Bowl date continues with a trip to the big game itself! 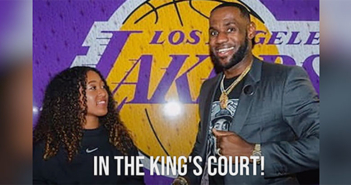 We'd bet they had a great time! 2. When you're happy and you know it, hug it out! 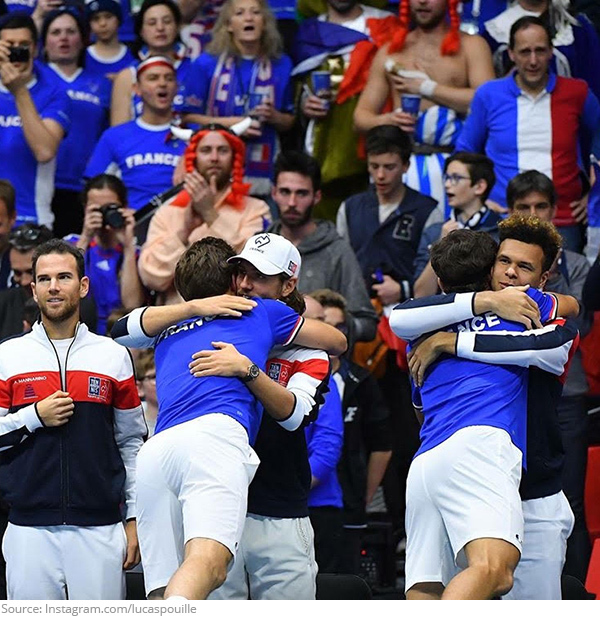 The French Davis Cup team celebrates a first round victory! 3. Dress to impress! Sania Mirza put on serious model behavior when she walked the catwalk for Lakme Fashion Week! 4. Healthy living! 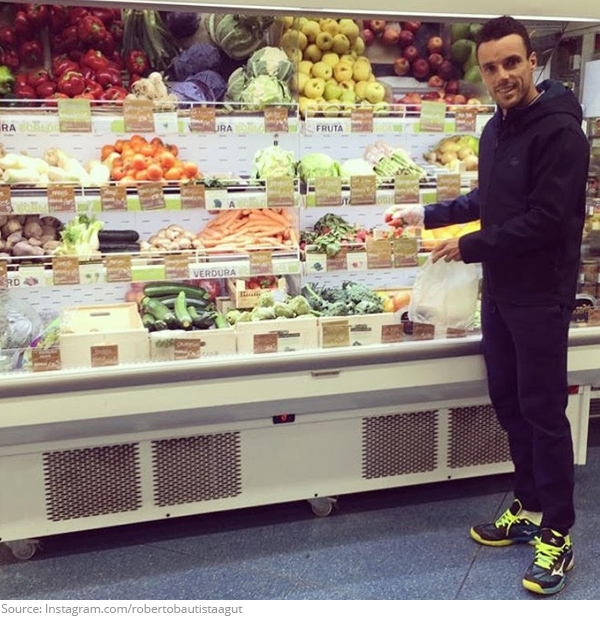 Roberto Bautista Agut puts the pro in produce! 5. Catching up! 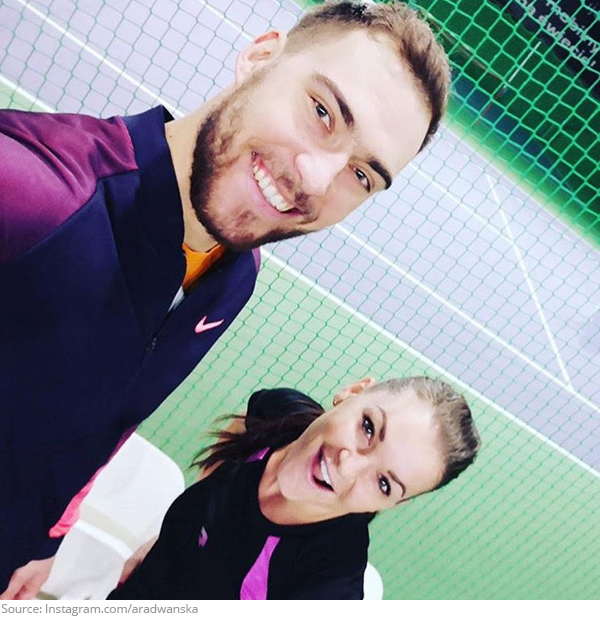 Aga Radwanska's hitting partner this week looked familiar. 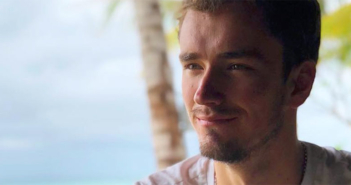 It's fellow Polish player Jerzy Janowicz! 6. Summer vibes! 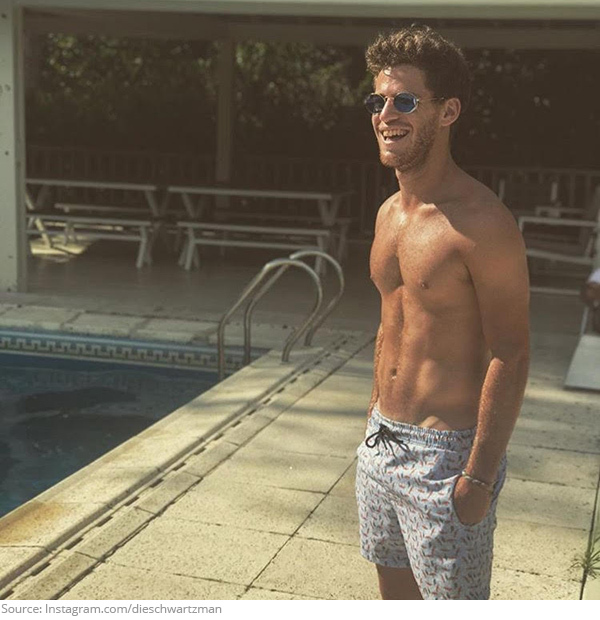 Diego Schwartzman is soaking up the sun! 7. A girl's best friend! 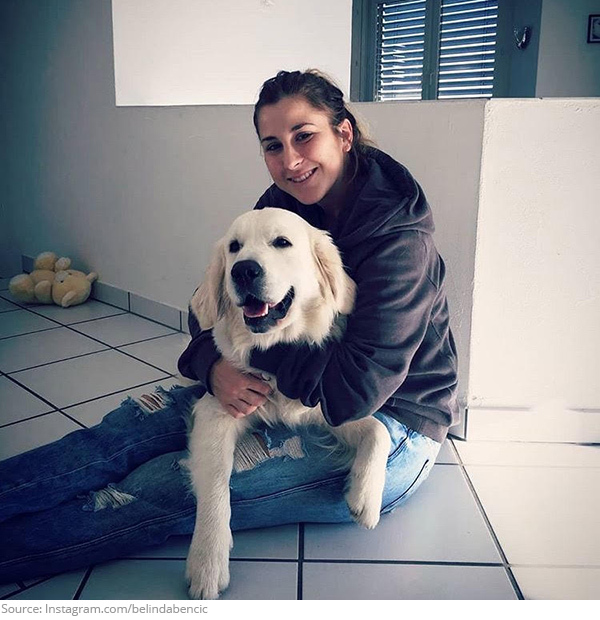 Belinda Bencic and her furry friend are having a golden moment! 8. Snow days! 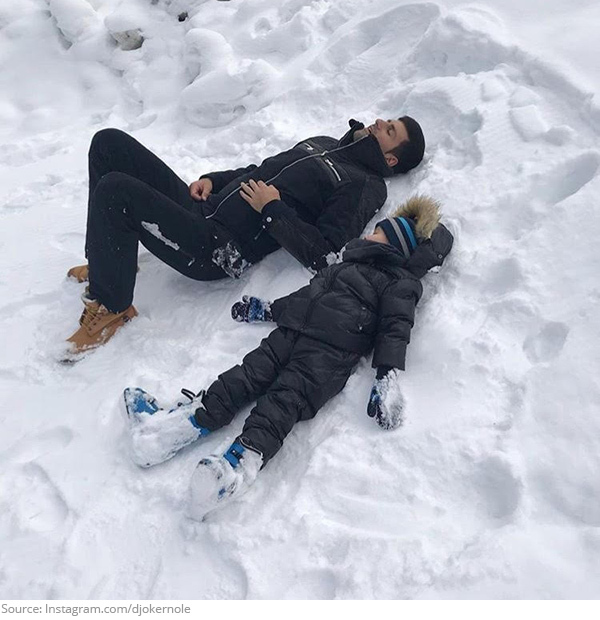 Novak Djokovic is a pretty cool dad! 9. Having a ball! Simona Halep isn't as comfortable on the basketball court, but she'll take a shot at it! 10. Style points! 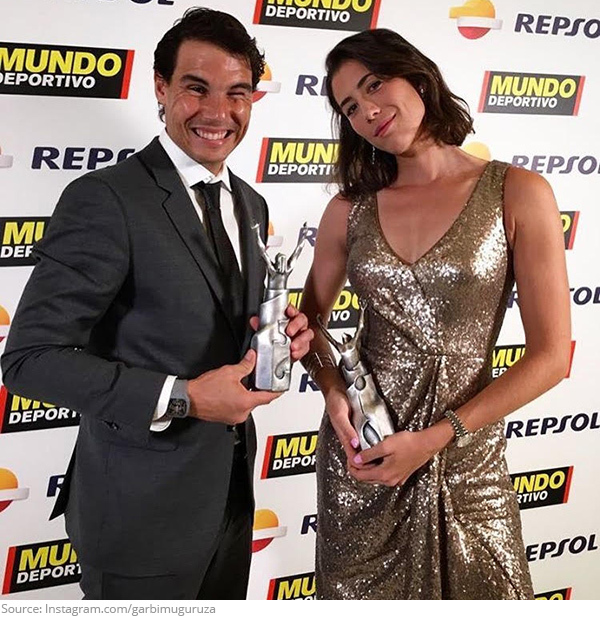 Rafa Nadal and Garbine Muguruza were looking good and feeling good as they took home awards at the Mundo Deportivo sports gala!